Manila, Philippines – The German government opens its healthcare sector for the hiring of Filipino healthcare professionals, including nurses, under a government-to-government agreement signed in Manila on March 19, 2013, between the Philippines and the Federal Republic of Germany. Under the Agreement, the placement of Filipino health care workers in Germany will be regulated and facilitated by the Philippine Overseas Employment Administration and the German Federal Employment Agency/International Placement Service (BA/ZAV). A Key provision of the Agreement is that Filipino health care professionals may not be employed in Germany under working conditions less favorable than those for German workers. 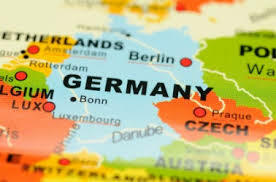 They will have German social security system coverage such as healthcare, pension, and unemployment insurance. The initiative to facilitate the deployment of Filipino health care professionals to Germany has long been in the agenda of the two countries. It was taken up during the official visit of Department of Foreign Affairs Secretary Alberto F. del Rosario to Germany on December 7, 2011 and during the visit to Manila of German Federal Foreign Minister Dr. Guido Westerwelle on February 7, 2013. The agreement will address the shortage of workers in the German health service sector, and provide new opportunities for Filipino professionals who are regarded not only for their skills and competence but also for their hard work, patience, and perseverance. We congratulate the Department of Labor and Employment headed by Secretary Rosalinda D. Baldoz, Department of Foreign Affairs Secretary Albert F. Romulo, Philippine Overseas Employment Administration Administrator Hans Leo J. Cacdac, German Minister of Labor and Social Affairs Dr. Ursula von der Leyen, and German Federal Employment Agency/International Placement Services Director Monika Varnhagen in their partnership to protect and promote the welfare of Filipino professionals in the Federal Republic of Germany. CONGRATULATIONS AND MABUHAY! Tagged Filipino Healthcare Professionals. Bookmark the permalink.